SailTime Philadelphia will offer visiting delegates and local guests chartered historic tours. 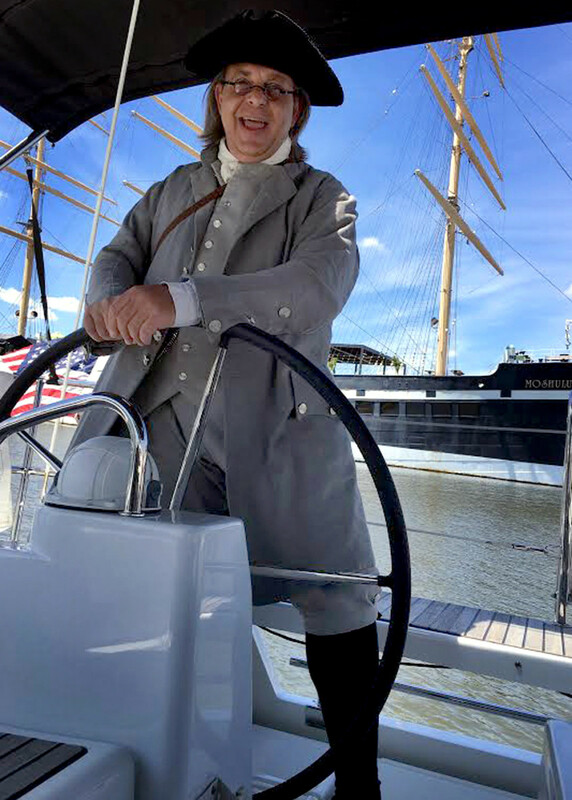 A Ben Franklin impersonator will provide historic sailboat tours of Philadelphia’s waterfront for attendees of the Democratic National Convention. Thousands of Americans are descending on Philadelphia for the Democratic National Convention and one local company is offering a chance to learn more about the city from “The First American” while sailing along its waterfront. SailTime Philadelphia, the regional franchise for the international boat membership company and a local American Sailing Association-certified sailing school, will offer visiting delegates and local guests chartered historic tours, starting from their home base in Penn’s Landing Marina. Led by a knowledgeable and witty, historic interpreter portraying Ben Franklin, the tour will feature an overview of our country’s formation, Revolutionary War-era politics, an insight into the science of sailing and a personalized tour of the Philadelphia waterfront. Small groups can enjoy the experience on board a Beneteau Oceanis 41 or Hunter 33 sailboat. Participants also will get a chance to learn about the sailboat- and powerboat-sharing services that SailTime Philadelphia provides. Fees start at a few hundred dollars a month, the company said, allowing members to schedule blocks of time online to use a new sailboat or powerboat. Owners can add boats to the SailTime fleet to share their boats. A professional handles the boat’s upkeep and maintenance. “Boat Tours with Ben Franklin” will set sail during the convention, which begins today and continues through Thursday, and continue throughout the summer. Registrations for tour groups of as many as six passengers for a two-hour chartered tour can be made online at fareharbor.com.